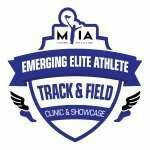 The MYIA Emerging Elite Athlete Track and Field Clinic and Talent ID Development Showcase is proud to host this international event. Our coaching staff is comprised of our Olympians, University Head Coaches, Assistant Coaches and Professional Athletes (prior and current). We are pleased to have a number of other college coaches represented during the Talent ID Development Showcase.